Join working mom Natalie Fischer and Working Moms Lifestyle Expert Samantha Ettus for some great tips on how to travel with your little ones. If you plan on traveling in the afternoon, don’t do. The morning is truly the best time to travel with kids because they are happier and less cranky. If you have an infant, invest in a sling for easy baby-carrying. Always have plenty of snacks available and activities planned for your kids’ short attention spans. 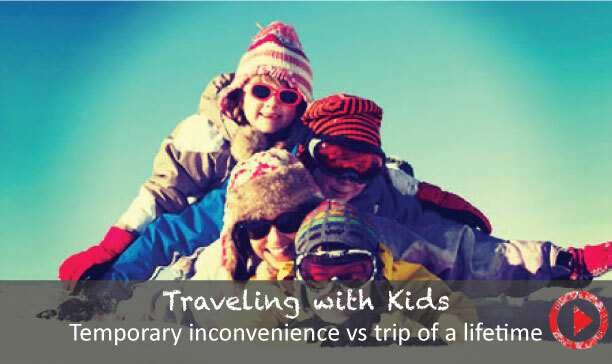 - The trick for traveling with young kids is to plan, plan, plan. The first thing, if it's possible, is to travel in the morning. All kids are happier in the morning. You don't wanna set yourself up for failure by traveling in the afternoon, when you know your kids are gonna be cranky. For infants, a sling is a great tool for traveling. to activity. So, the more you can map out different things, whether it's drawing, or invisible ink pads, or whatever it is, really having that time.